If your child has a library of books on their iPad, you are going to want to check out the latest interactive book App, The Memoirs of Winthrop Little. In his first interactive memoir, PJ and Winthrop have a major emergency! It’s Shay’s seventh birthday—a very important birthday—and they have to make sure everything is absolutely perfect. PJ just can’t resist a simple temptation. When he gives into his bear instincts, they’re in big trouble. Download the app to find out what happens to PJ and Winthrop! Get the app to find out how the party went down. 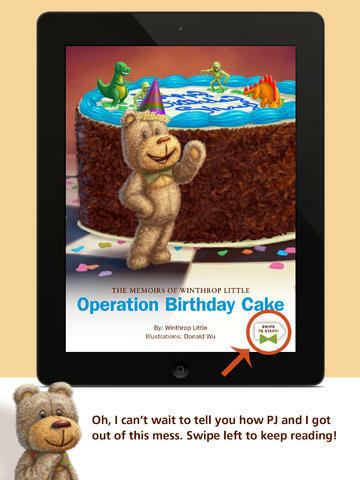 Also included our cookie and cake recipes to have your own Operation Birthday Cake with your children. This is such a great way to get your little one intrested in Science! Not only does it open the door to learning about solar power and robotics, but it encourages creativity! Your child will have a blast choosing which vehicle to create. 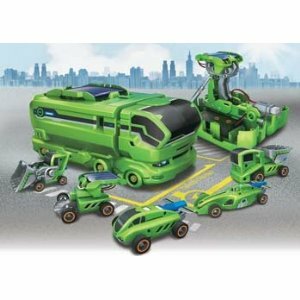 There are 5 choices: Solar Car, Concept Car, Bulldozer, Dump Truck and Concept Racer! Product Description: An innovative solar science kit that encourages children to exercise their sense of creativity and imagination. It features all snap together plastic parts (no screws, tools required), solar panel and accessories. It is incredibly easy to assemble the 7 different modules: 2 power charging stations and 5 different vehicles. The transforming rechargeable station has 2 output plugs, one for solar recharging and the other for battery recharging. Amazingly, the battery charging station can bring the selected unit to full power in about 5 seconds and the solar recharging station will fully recharge in approximately 120 seconds. The fun time - run time is approximately 50-80 seconds. Similar to OWI's other mini solar kits, if you have sun, you have power. Not because I wanna toss my kid to the curb for the bus-but because that means he's ready for the big boy school. I can't believe he's 4. And with one on the way? I need all the educational materials I can get my hands on, ya know? This mom thing is hard work sometimes. Get me to do crafts with my kid? DONE. But teach him MATH or READING? Ugh...is there a class for me on that? I guess I just don't value myself as much as I should. But I can honestly tell you-the Tag books & games we use, definitely give me the confidence to REALLY help Boston learn! This latest one "Get Ready For Kindergarten" Is probably one of my favorites. This book is a really great value too. 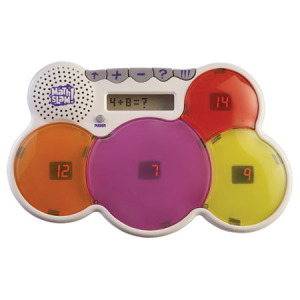 It's only about $14 and provides hours and hours of education and entertainment for kids. BIG fan of Tag. My favorite of all the Leapfrog Products. This book brings Dinosaurs to life! Written by Andrea Posner-Sanchez and illustrated by Terry Izumi, Meet 26 dinosaurs—one for each letter of the alphabet—in this Dinosaur Train™ alphabet book. Buddy, Mr. Conductor, and the other Dinosaur Train™ characters from the hit PBS Kids® animated series introduce dinos from Apatosaurus to Zigongosaurus! Young paleontologists-in-training will love learning cool facts about 26 amazing dinosaurs. This awesome non-fiction book with a sturdy padded cover makes a great gift! 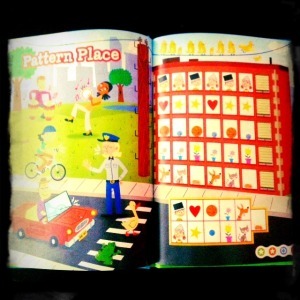 Ages 3-5; SRP $11.99; 30 pages. Purchase it now online at Barnes & Noble. Who's hungry? 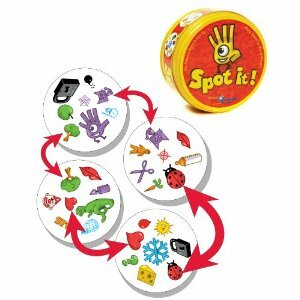 You probably will be after hearing about Learning Resources Peek-a-Boo Color Muffins. These tempting baked goods provide dozens of opportunities for creative and active learning! Play with five realistic muffins to help children learn their colors as they match each muffin cup with their prospective fruit filling. The muffin tops pop on and off to help strengthen those little fingers. A rotating stand keeps things organized, stored and ready for the next adventure. Includes 5 durable plastic 2-piece muffins, and 5 fruit fillings. For ages 2+ and costs around $17.99. Buy it now. You may have a little chef on your hands with this chef-inspired set from Learning Resources. 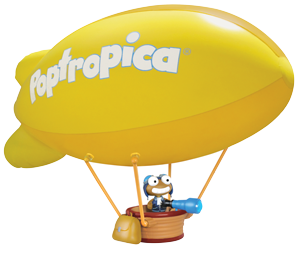 It's practically like the real thing! I almost wanted to know where to get my own chef set, wink wink. 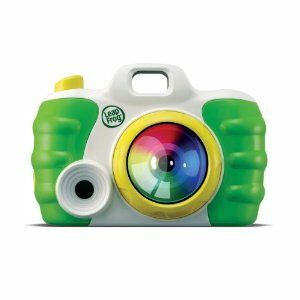 For ages 3+ and retails for about $24.99. I want it! Ok-so this thing is SERIOUSLY cool. I mean, I CAN USE IT!!! Trust me when I tell you my math stinks.